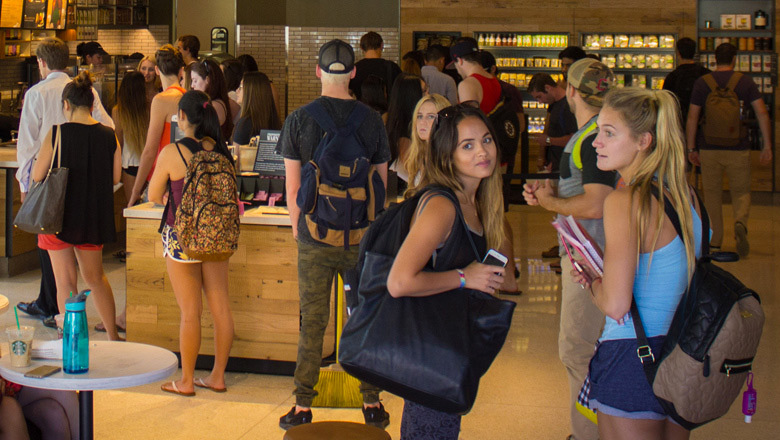 Starting on day one at Chapman University, students can seize numerous opportunities to enhance their college experience outside the classroom — socially, spiritually, and physically — all with health and safety in mind. 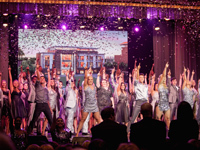 From Broadway-style performances and athletics to cross-cultural initiatives and student life activities, you will find your home with us. Chapman University is home to over 500 student-athletes who compete in 21 sports at the NCAA Division III level in the Southern California Intercollegiate Athletic Conference (SCIAC). In addition, Chapman sponsors seven club sports programs ranging from men’s lacrosse to cheerleading. 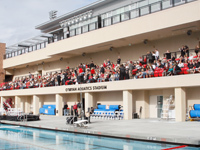 For those not interested in competing on the intercollegiate level, Chapman offers four intramural sports, and open recreation hours and fitness classes for CU students, faculty and staff. 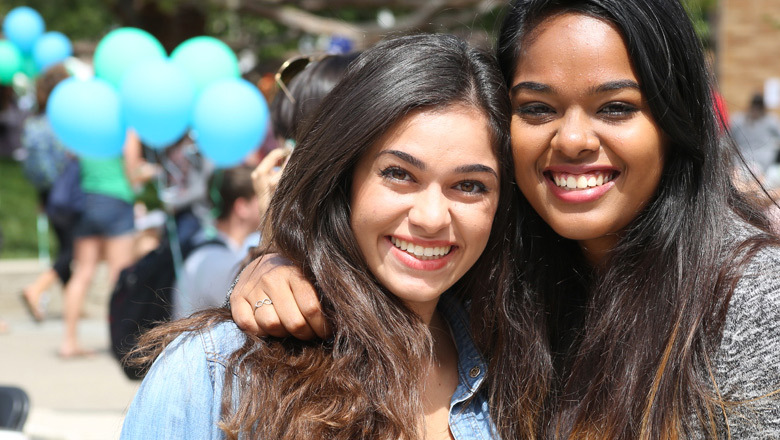 Chapman University is deeply committed to enriching diversity and inclusion through on-going efforts to cultivate a welcoming campus climate for all members of the Chapman community. We strive to provide an inclusive academic curriculum, promote equity and access in recruitment and retention, and develop meaningful outreach programs and partnerships with our diverse local communities. We value diversity and inclusion in the learning environment and believe it is vital to the fulfillment of the university mission. 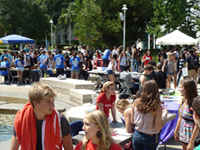 Chapman is a bustling university with numerous events and activities happening daily. There are concerts, lectures, tours, sports games, plays, screenings, religious ceremonies, info sessions, student activities, gallery openings, club meetings, Greek events and much, much more (phew!). 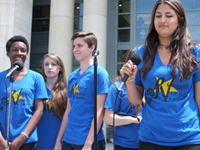 Learn about all the events happening on campus through our online events calendar. 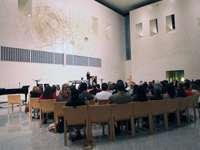 The Fish Interfaith Center assists students in their spiritual journeys and equips leaders for interfaith understanding in the world through the center's award-winning Wallace All Faiths Chapel and interfaith programming. 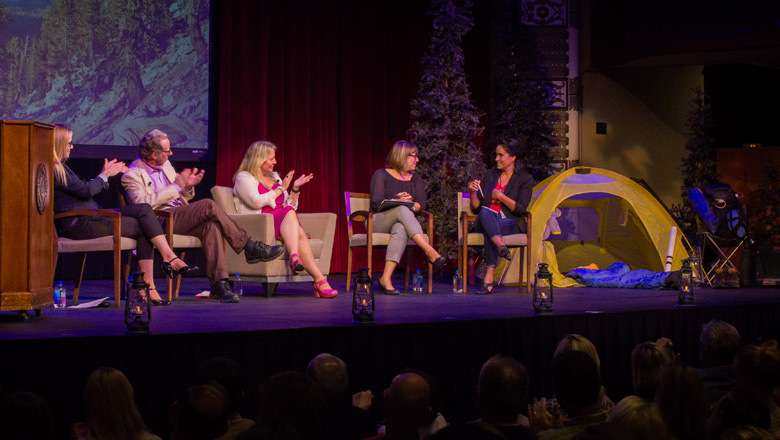 Chapman believes that everyone should have a place to worship and to practice their beliefs in a safe, sacred space. 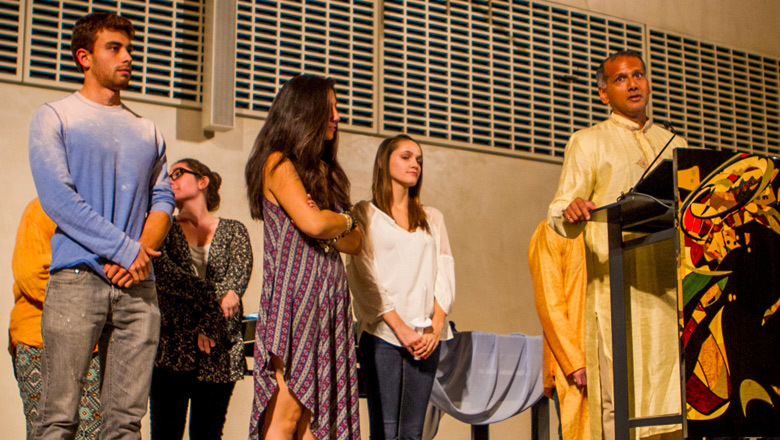 The Fish Interfaith Center provide students of all faiths the opportunity to utilize our facilities at any time - to study, meditate, pray and learn. Health and safety of the Chapman Family is a top priority for the University. Our commitment can be seen in the healthy foods and fitness resources we offer, the dedicated public safety, disability services, medical and physiological counseling staff that is on hand daily, the preventative education we offer students, and the continued support from the administration to make sure everyone's experience at Chapman is enjoyable and safe. 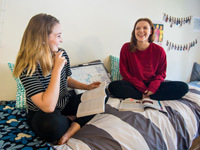 Residence Life and First Year Experience provides on-campus housing options and off-campus housing resources to undergraduate and graduate students as well as assisting students with this transition into college through academic, leadership, and social programming. From the Student Union in Argyros Forum where you can rent an iPad, grab a hot meal and socialize with friends to the Doti-Struppa Rock Wall in the residence halls where you can test your physical limits, students are free and welcome to immerse themselves in the whole Chapman student life experience. 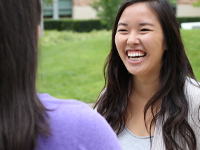 If you're in a more collaborative mindset, Chapman offers a myriad of clubs and organizations to fit all levels of involvement. Whether you're looking for civic engagements, Greek Life, Student Government or fun university programs, Chapman has you covered.